Feeding spools of wire through holes in the wall or running them under carpet to enjoy surround sound or whole-house audio is now a thing of the past, thanks to wireless technology. We recently installed a flat-screen TV above a fireplace in a home, and the owner was concerned about wiring his old speakers to the new television for surround sound. We told him he was thinking old school. Today’s speakers are compact, powerful and wireless. You can add multiple speakers throughout a room for amazing surround sound, or even wirelessly link them throughout your whole home, inside and out, and enjoy your music anywhere on your property. Modern speakers also offer incredible convenience. They can be controlled and linked using a single app––or even voice commands for speakers that come with Amazon Alexa built in. In addition, some speakers run through WiFi, not Bluetooth, so the sound doesn’t drop off due to interference. If you’re having a party, you can link all of the speakers in your home allowing guests to enjoy the playlist in every room. Or if you’re home with your family, you can unlink them so while one person is watching a movie in the living room, someone else can listen to music in the backyard and another person can tune in to a podcast in the kitchen. Relatively affordable, wireless speakers come in a range of price points, starting at about $150, or with Amazon Alexa built in for about $200. The beauty is that you can add to your sound system one speaker at a time. 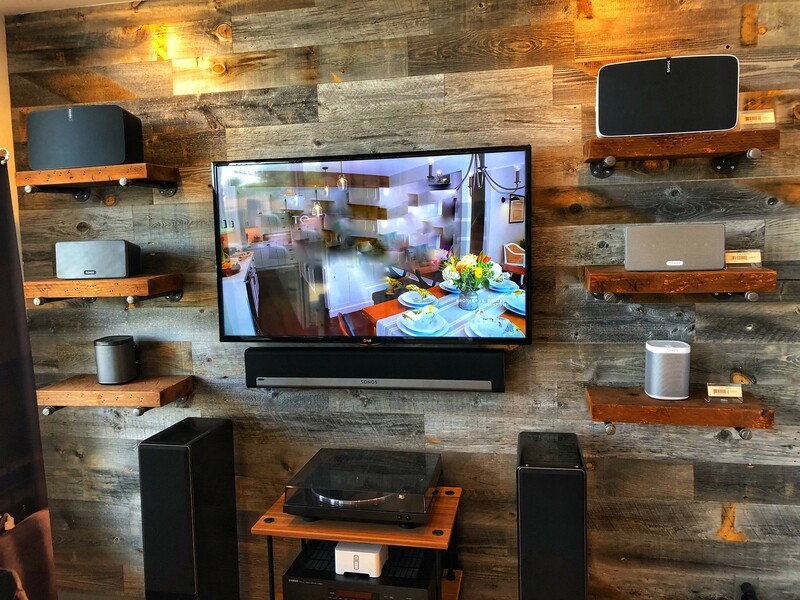 You may start with a couple speakers for your home theater or living room, and then expand to the kitchen or other rooms as you like and your budget permits. Contact us to learn more or visit our showroom at 1053 Riverdale St. in West Springfield. Depending on the type of work you do, working from a home office may mean you need to beef up your security measures.